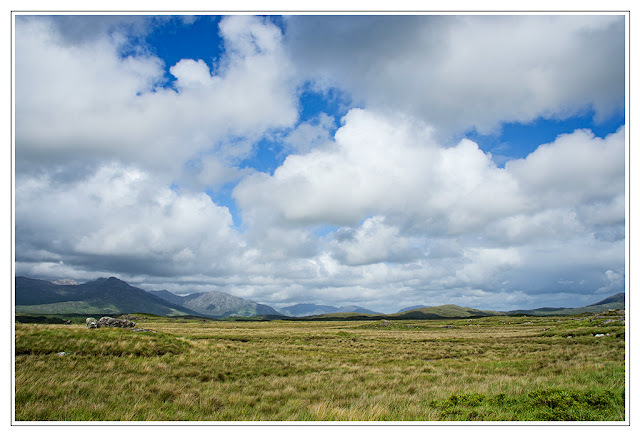 The Connemara National Park was my ultimate destination this day. 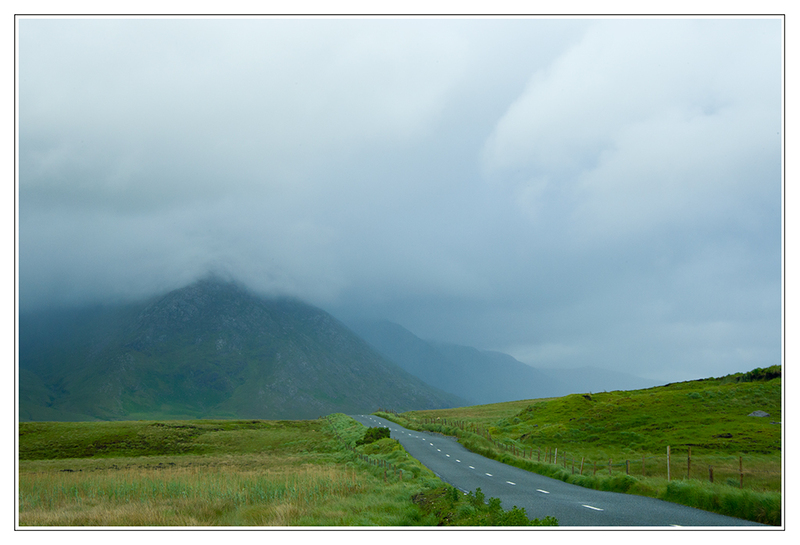 By the time I made it there the clouds were coming in again. 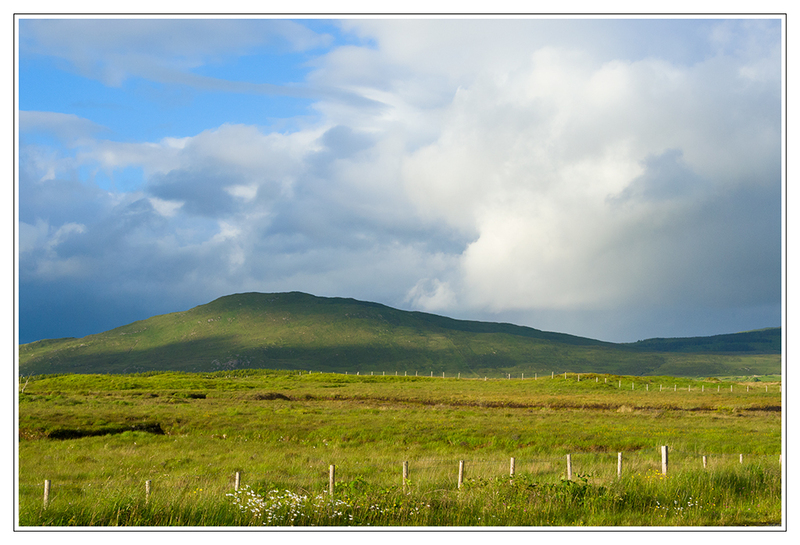 The landscape here is beautiful, with lowland bogs and round mountain tops. From the parks site ~ "The rocks underlying the National Park are typical of the Twelve Bens area and are termed metamorphic rocks. These rocks derive from sediments deposited in a warm shelf sea between 700 and 550 million years ago. Upheavals in the earth's crust formed the sediments into crystalline schists within the roots of an elongated mountain belt. Regional uplift and erosion have since brought the rocks to the surface. The mountain tops are mostly of more resistant quartzite, while the flanks consist of less resistant schists and grey marbles. The last Ice - Age, which ended about 10,000 years ago, imposed a final shaping to the landscape and left behind localised deposits of sand and gravel, widespread boulder clay and erratic boulders. These features largely determine the pattern of plant communities in the Park." 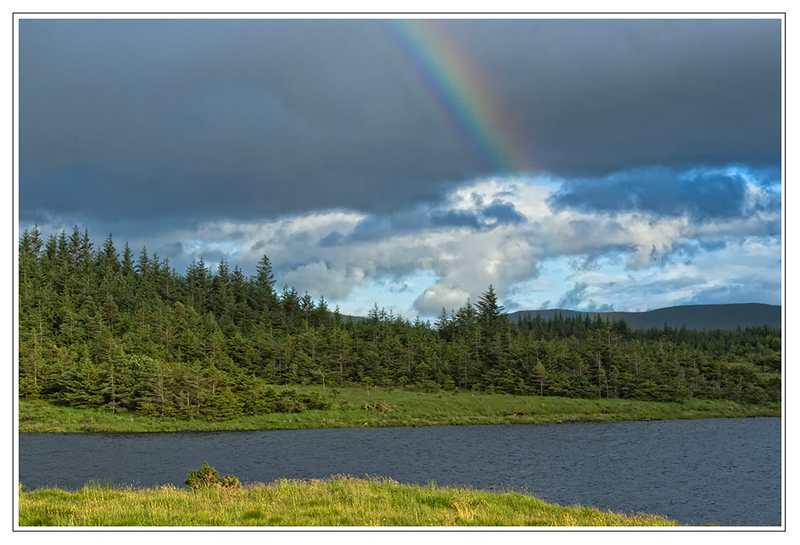 The weather quickly turned south and rain was all around the mountains..... Then more sun and yes my third rainbow in two weeks appeared! 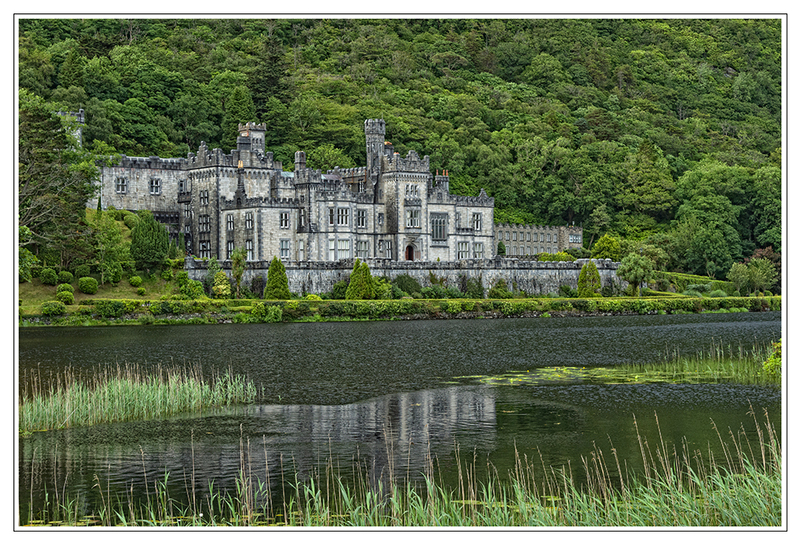 I headed home past Kylemore Abbey and was late in passing but it worked out great as there were no tourists in the rainy evening to be seen and I just made it before the gates closed. 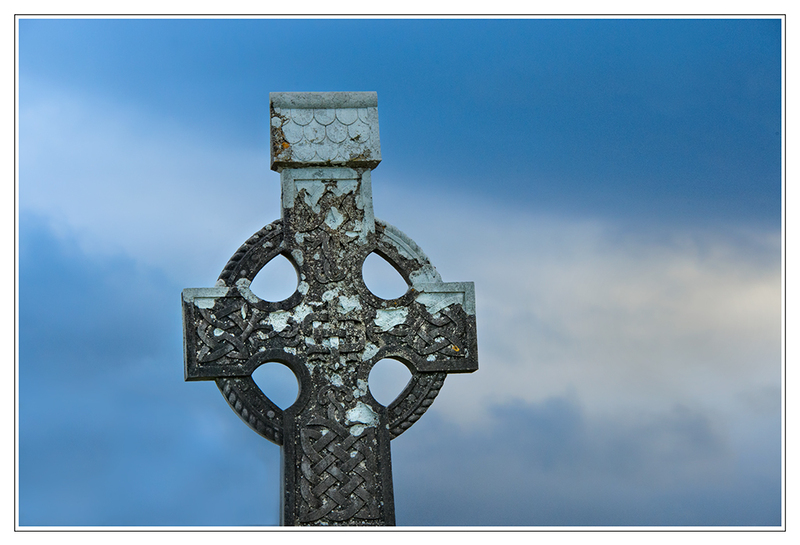 On the road back to Galway, just before nightfall at 10:00pm, I made one last stop in a roadside cemetery to grab another Celtic cross shot. It was a long day but fun! I was thankful to get back to my little room at the Amber Hill B&B and crash! Thank you for sharing that prayer!